Lionsgate will be bringing Rob Cohen‘s latest action thriller Alex Cross to Blu-Ray in February. The film stars Tyler Perry and Matthew Fox. Director/star Tyler Perry has been known to frequently dawn a wig and fat suit to play his popular Madea character, but he rarely has had success playing an actual character outside of his Perry universe. He’s briefly seen in J.J. Abrams’ Star Trek, alongside a few other roles, but it really wasn’t until now that he decided to take things a bit more serious with Rob Cohen’s Alex Cross. 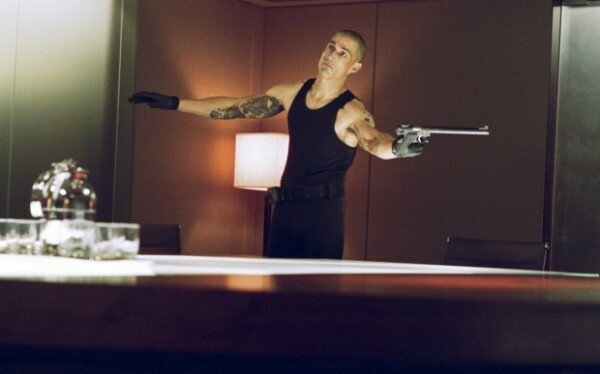 The film follows an already established character (played once by Morgan Freeman) as he investigates a psycho killer played with over-the-top silliness by Lost star Matthew Fox. The result is a laughable bag of tricks that works for those looking for a corny B detective movie, but those hoping for something of actual quality might want to skip this one. I take that back, they should most definitely skip it. But when all is said and done, all eyes will be on Perry, who boldly steps out of his comfort zone to embrace a new role that tests his worth. After watching him in Alex Cross, it will be crystal clear to everyone why he was cast. This is a real game changer for him, and he comes out swinging. I guess Perry works well for some more than others. Alex Cross streets on February 5th, 2013.